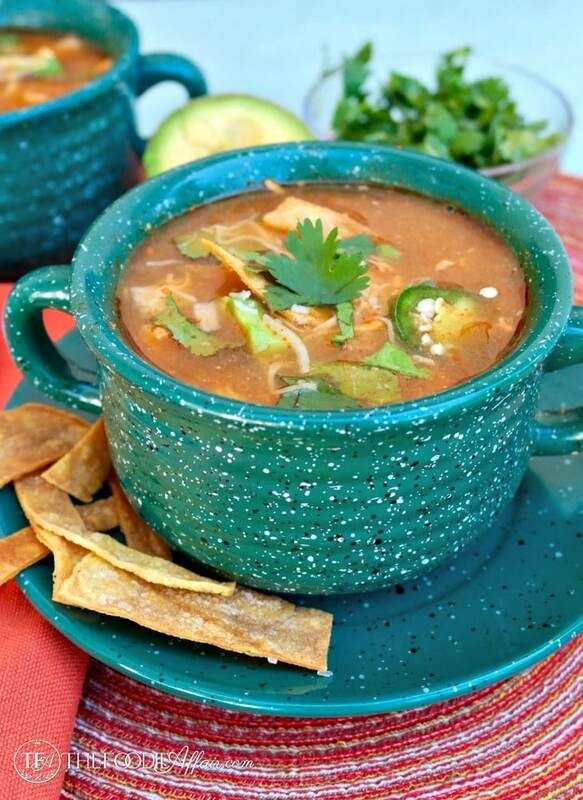 Slow Cooker Chicken Tortilla Soup is flavorful and easy to make with the help of a Crock Pot! Garnish with baked tortilla strips and avocado chunks for an extra punch of flavor! Ready for a delicious soup that makes you feel like you have an assistant helping you? I’ve got you covered! 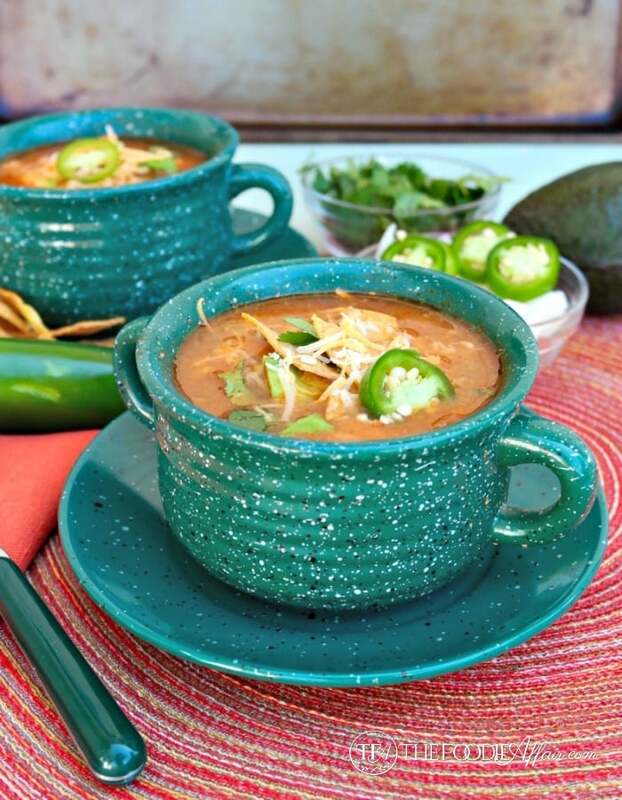 This scrumptious bowl of chicken tortilla soup is a recipe my friend Sarah from The Magical Slow Cooker created for her first cookbook, Recipes For Busy Moms, The Magical Slow Cooker! Are you a collector of cookbooks? I like to read them like a great novel paging through each recipe as I look at all the pictures. Much like a good novel, I couldn’t put this book down until I got through each page! After flipping though EVERY page I couldn’t decide on just one recipe to try, so I asked Alan for his opinion. 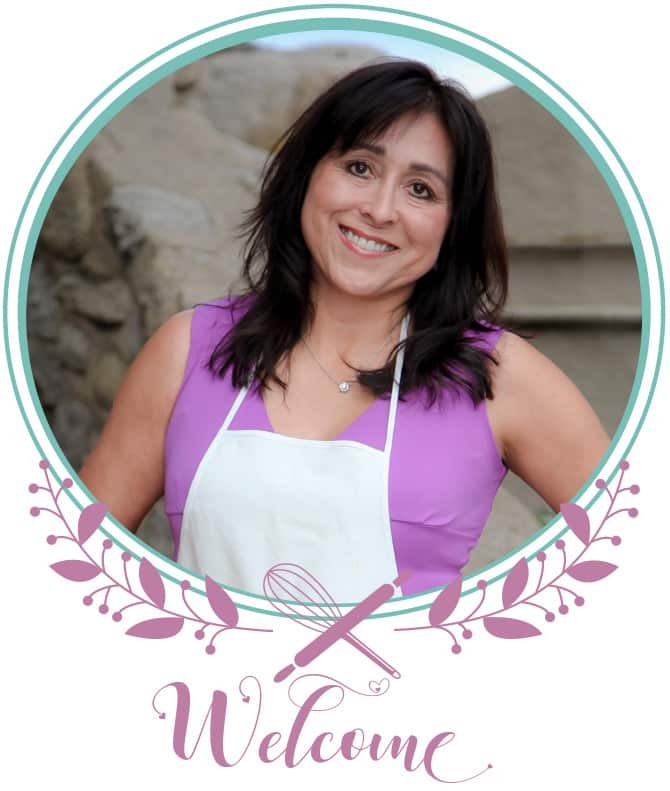 Once I flipped through the soups and stews recipe section, he stopped me on the Chicken Tortilla Soup – “THAT ONE! Definitely, make that first,” he said! I looked at the ingredient list and noted that I had everything except for the fresh cilantro! In a pinch dried cilantro is ok, but fresh is so much tastier. Soup idea for a crowd! What a great choice for a family meal! Not only is this delicious, but it’s simple to put together. Right before going on with your day, add the ingredients to the slow cooker, and by the time you get into comfy sweatpants at the end of the day, dinner is ready! Likewise, this soup is also perfect for a no-fuss gathering! There is so much to do when you host a party, so while busy prepping a dessert like peanut butter mousse cake, this soup can be simmering. 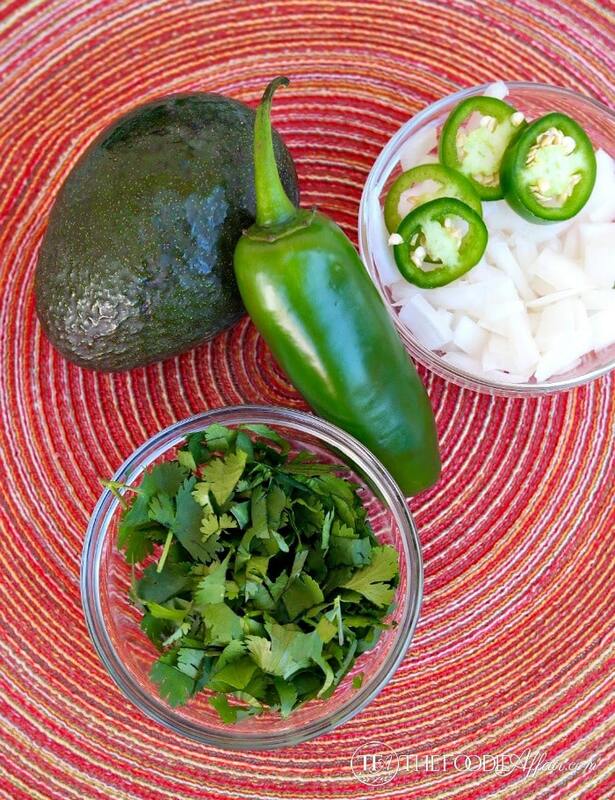 Make sure to add the extras like the chunks of avocado, and the tortilla strips! I followed my method of baking the tortilla chips, and in Sarah’s book, she explains how to fry them. Either way is delicious and adds a tasty flavor to the soup! 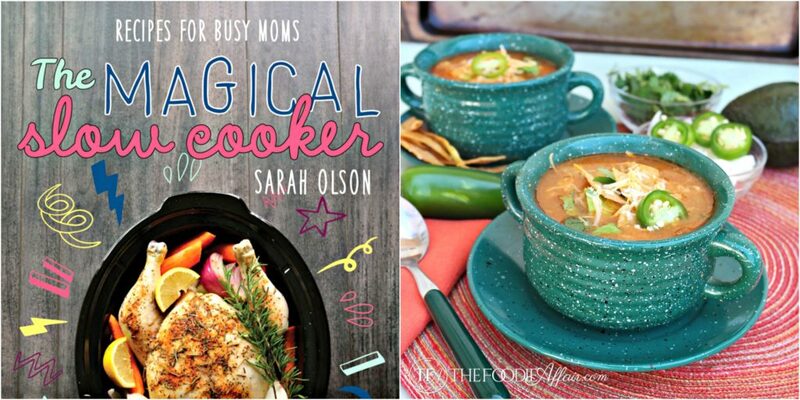 You can get your copy of Sarah’s Recipe For Busy Moms, The Magical Slow Cooker Cookbook HERE. Combine the chicken broth, enchilada sauce, cream of chicken soup, onion and jalapeño in the slow cooker. Add chicken to soup mixture, cover and cook on low for 8 hours. Shred the chicken with two forks and add cilantro. Serve immediately. Top with avocados, jalapeño slices, shredded cheese and tortilla strips. I love how quick this is to throw into the crock pot. slow cooker meals are always my favorite! this one will be perfect for the rainy day that the weather man reported for this week. I keep a few cookbooks on my nightstand and read them like novels! I love a good slow cooker meal once a week. 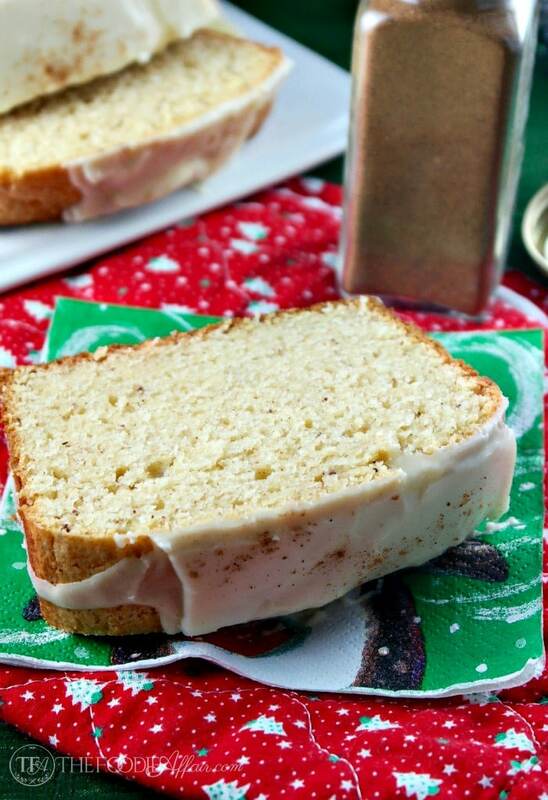 So easy and you come home to great aromas coming from your kitchen. Thanks for the recommendation on the cookbook. I’ll definitely have a look! Looking delish and tasty, you know I love my soups too so this is perfect for this Spring! What a gorgeous soup! I am loving Sarah’s cookbook too and can’t wait to do my review. I’m bookmarking this one to make for sure. 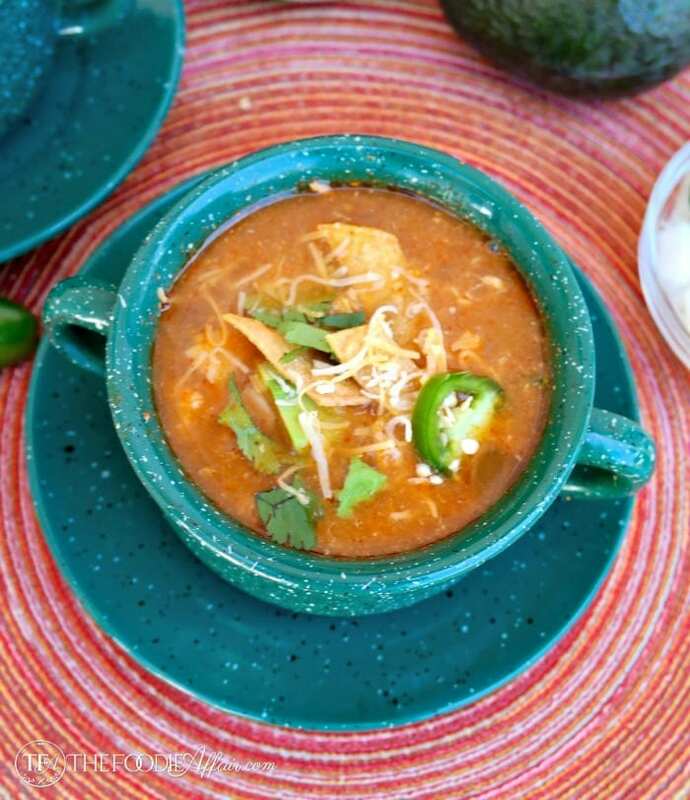 We love Mexican flavors and tortilla soup is one of our favorites! In the slow cooker, even better!! This would be perfect during cold and rainy seasons. And it looks very tasty. A gorgeous soup! Congrats to your friend publishing her cookbook! That’s fantastic! This looks wonderful, better than the version I make. I’m going to try this!! My slow cooker was woefully unused this year. This dish looks like a great one to get back to! 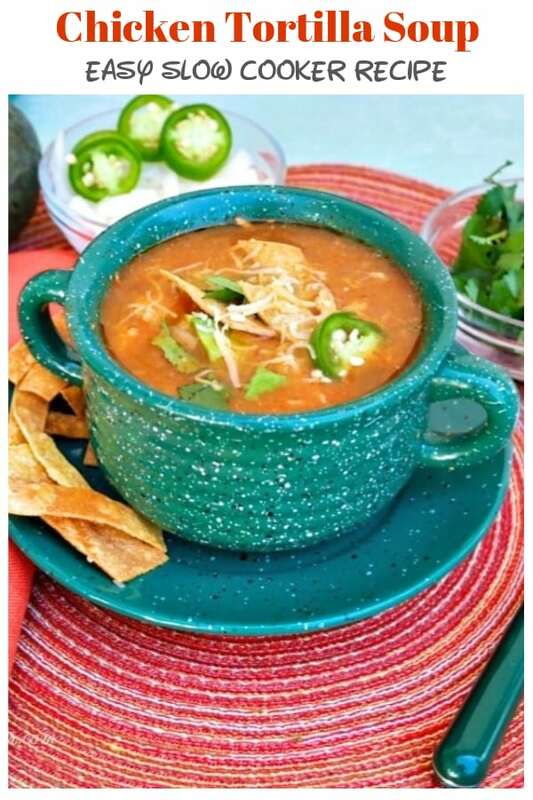 Gorgeous slow cooker chicken tortilla soup! Congrats to your friend in publishing her cookbook and I love how your artistically photographed this delicious soup. I too love to page through cookbooks, yes, the actually book. Easy and comforting dish, still do not own a slow cooker. The soup looks amazing Sandra! Thank you so much for the making a recipe from my book! This is a favorite soup of mine, you can make it decadent with the toppings or you can use low-fat cheeses and baked tortilla chips to make it healthy. YUM! This soup looks amazing! I love that cookbook! There are so many wonderful recipes.